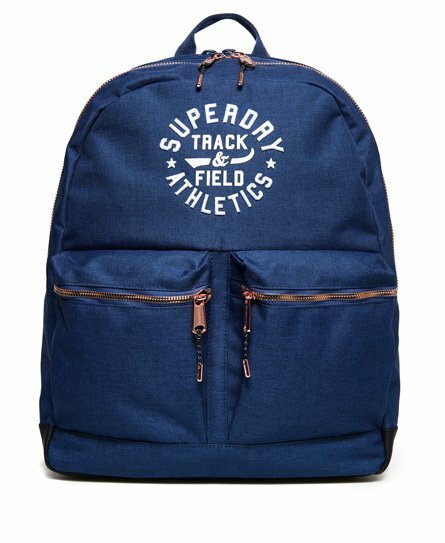 Superdry women's Fenton backpack. A simple, staple backpack, featuring two large main compartments with zip fastening and two smaller front compartments, perfect for keeping your phone and keys close to hand. 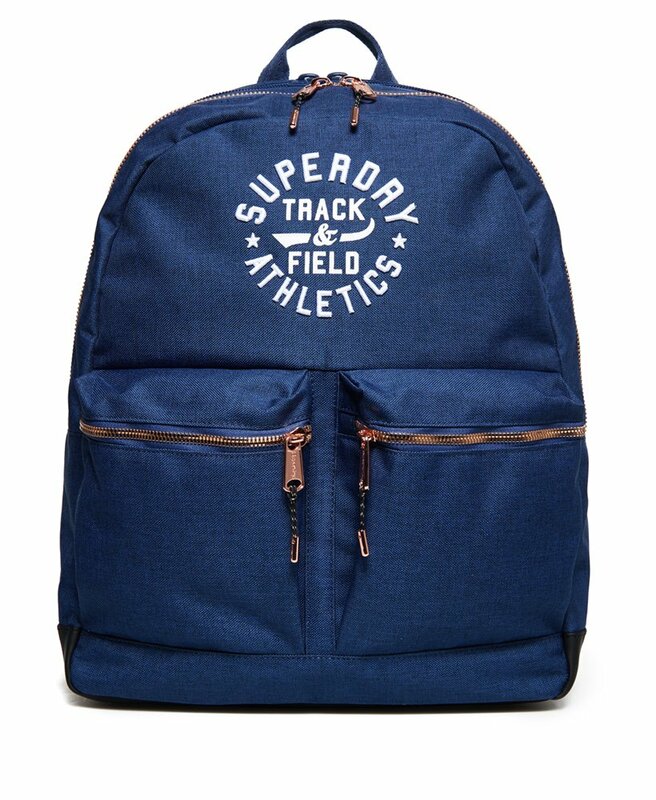 The Fenton backpack also features a top grab handle, padded back for comfort and has been completed with a Superdry logo graphic on the front and small logo badge on the back.